Irish songwriter Brigid Power-Ryce toured with U.S. songwriter Peter Broderick (Bella Union, Erased Tapes) across Ireland and the U.K. this May while promoting Broderick’s current studio album ‘Colours Of The Night (Satellite)’, with venues including The Sirius in Cobh, Cork and Mono, Glasgow. Since first meeting at a concert in Cork’s Half Moon Theatre in October 2014, Broderick became instantly hooked with Power-Ryce’s timeless songs. Shortly, Power-Ryce will be recording new material with Broderick at his own Portland-based home studio, The Sparkle. Bristol! I arrived the day before so I got to check out the city. It reminded me of a more professional and bigger Galway. I met Peter and Peter (Broderick & O’Sullivan) at the venue which was the Lantern at Colston Hall. It was a gorgeous place, Belle and Sebastian were also playing there that same evening in the main hall. I was a bit uptight in my performance, I’d had too much coffee that day and I was thinking too much while singing. Normally I don’t have many thoughts when I’m singing so when they suddenly pop up it’s like “Aaaghhh get out, you’re in the way!” And I can’t connect. Peter’s set was really impressive and the crowd were all swooning. I met someone who told me a story about their Granny driving down a cul-de-sac. All of a sudden, she sneezed and instead of putting her foot on the brake she put it on the accelerator and drove into a load of bins. I got quite hysterical about that for some reason. In hindsight that was to probably set off the giggly tone of the tour for me. We drove up to Coventry, I don’t remember much of the drive. Oh, we listened to some music by Peter’s friend by the name of Brumes. It was gorgeous. Checked into our hotel. My God, what a place. 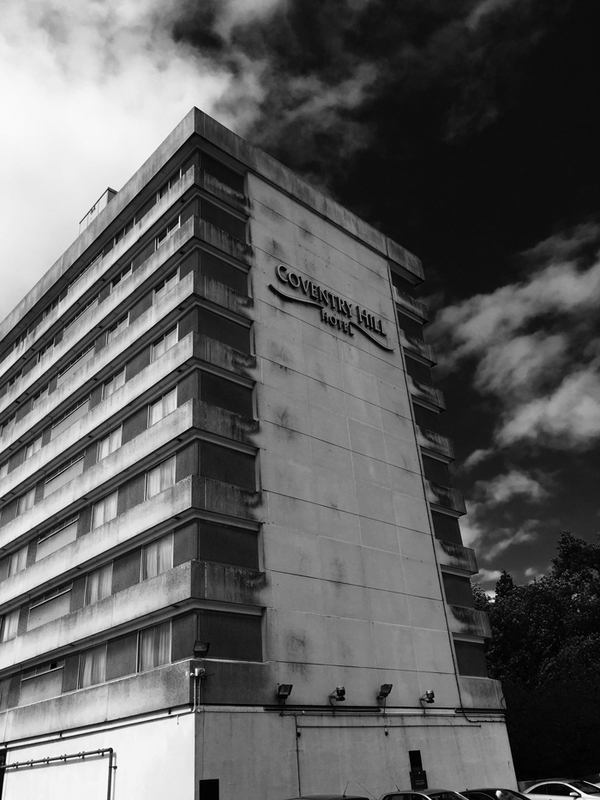 It was just like the hotel from the film ‘Barton Fink’. Gale-force winds in the lobby, strange paintings and tapestries all over the hotel, a completely full car park, but where were all the guests? The gig that night was really good, nice and small and intimate. I was much more relaxed than the previous night. They had spelled my name ‘Bigid’ on the poster and Peter was ‘Bodick’. Long drive up to Glasgow! Peter O’Sullivan, who’s driving us, made me giggle a lot. I would’ve been in trouble sitting next to him in school. We played in a venue called mono. Glaswegians are lovely! My two friends from home came along and I was so happy to see them. We all played an intense card game of ‘snap’ and ‘shithead’. I really enjoyed playing that gig, maybe it was my favourite. I went up to sing with Peter for his song ‘On Time’ which I love so much. But either my mic wasn’t on enough or my voice was coming out because I couldn’t hear anything. Or it could’ve been that I was so struck by the song that I was too busy listening to him sing it and my body shut down, or I just couldn’t hit the notes. One of those reasons anyway! This was my first time in Belfast. We played a pub called McHugh’s. It was a great little venue. Actually this was my favourite night to play and I loved Peter’s set this night too. We travel down from Belfast to Cork. I buy my son a dinosaur book from the service station, that he has since informed me “you got me that before, when I was three.” Which he is indeed right about but I’m freaked out he can remember things from then. Cobh is lovely. It’s kind of hitting me now that this will be the last night and I start to feel a little sad and a little anxious that it’ll take me a while to settle back to day-to-day life. But a feeling of appreciation of having even been able to play every night to lovely people overrides the sadness. 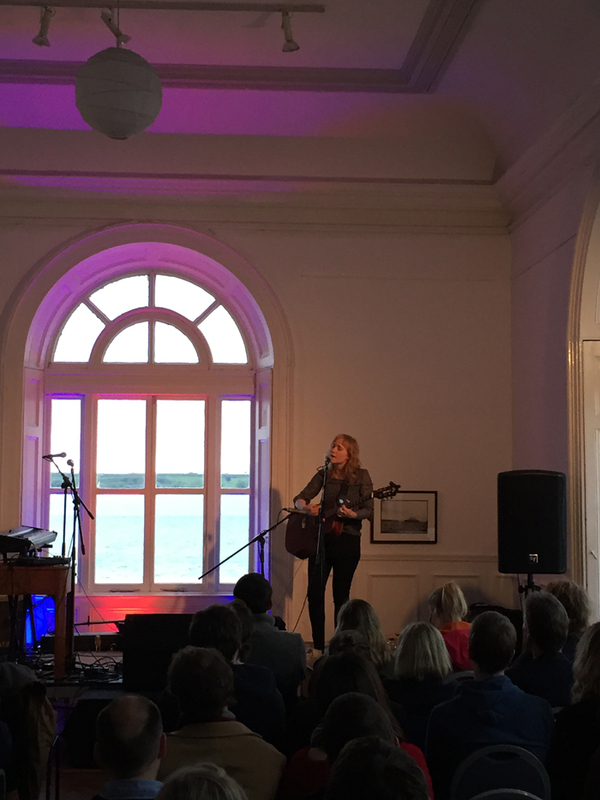 The venue is beautiful, I can’t really remember playing, I was sort of floating in and out of being spacey, due to tiredness and an all-over feeling of release that had exhausted me (in a good way). 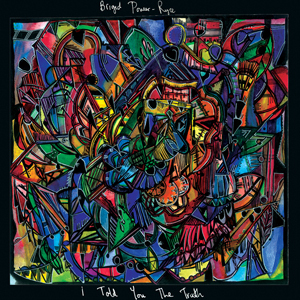 ‘I Told You The Truth’ by Brigid Power-Ryce is available now on Abandon Reason.